…or, right-handed if you’re a left handed person. 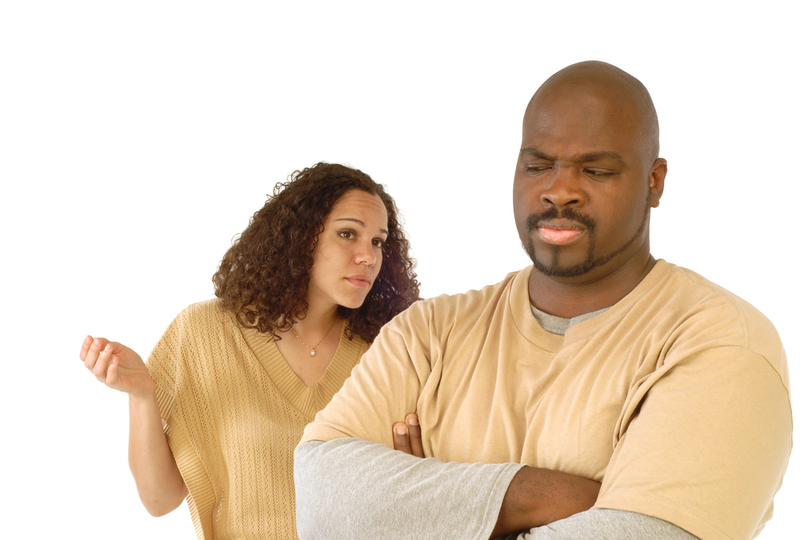 Bring to mind the last time you and your partner had an argument that you didn’t resolve. What percent of what you said fell into each quadrant? Reflect on this before reading on. 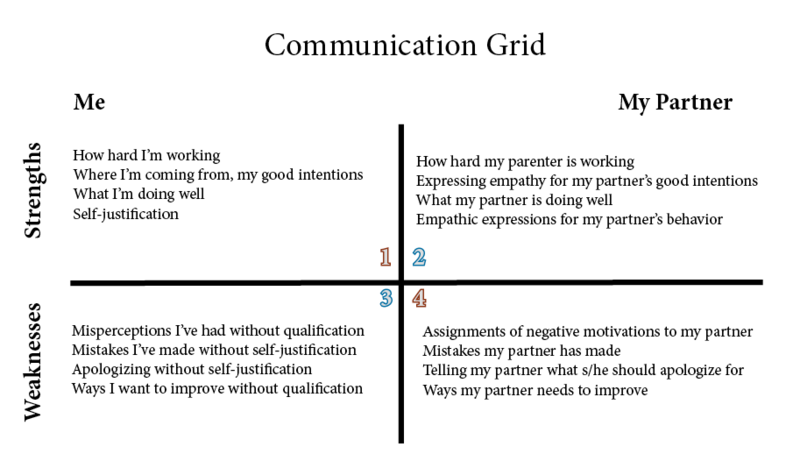 What percent of what your partner said fell into each quadrant? Again, spend a moment reflecting. If you’re like most of us, most or all of what you said fell in cells 1 and 4, with the same thing probably being true of your partner. When we do this, the conflict tends to escalate, adaptive listening goes down and our energies become invested in refining our arguments and dismantling our partner’s logic. Escalation mounts further until it ends out of frustration or someone gets hurt, emotionally, physically or both. There is a different way to communicate that will feel less natural, and even counter-intuitive. It is kind of like using your non-dominant hand to bowl. Start with cells 2 and 3. 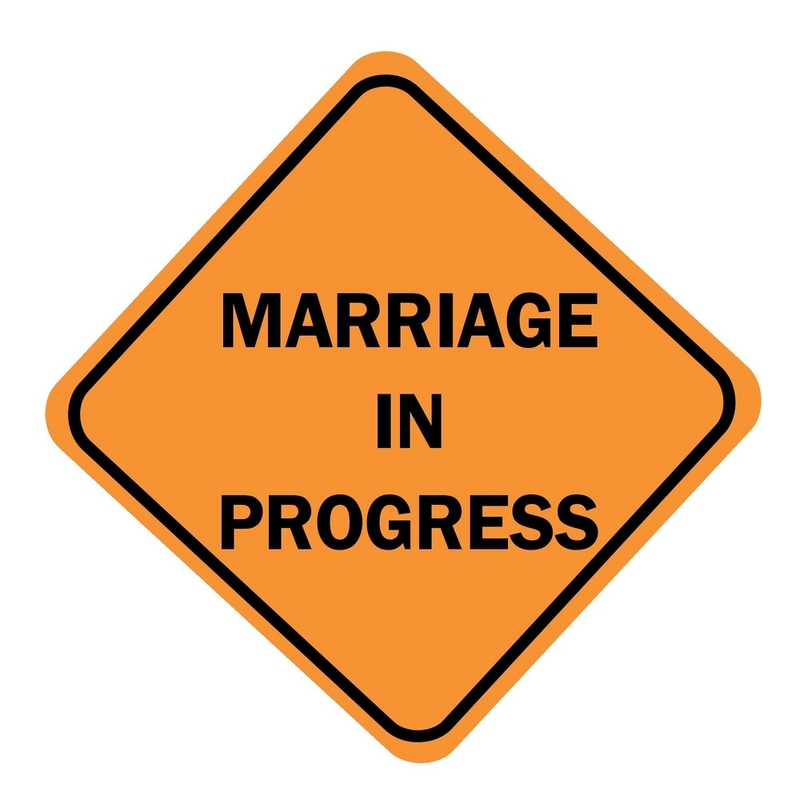 All conflicts between couples have data in all four cells. Even you believe that the percent of the data is small in 2 and 3, start there. Be authentic. Challenge yourself to become aware of the data in cells 2 and 3 and discuss it openly, letting your partner react, before even considering going to cells 1 and 4. (If your partner responds by piling on, try to not react to that. You’re communicating on a high road even if your partner can’t join you there yet.) If your partner is a reasonable person, who isn’t in the middle of a regressed state, s/he may surprise you by reciprocating. After all, your 1 and 4 is your partner’s 2 and 3. So, if you start with your own 2 and 3, putting a period on it, instead of just doing it as a forward to where you really want to go, your partner may end up doing your heavy lifting for you. This mode of communication is not only non-intuitive and more likely to resolve conflicts, it is more loving and ends up being more accurate. 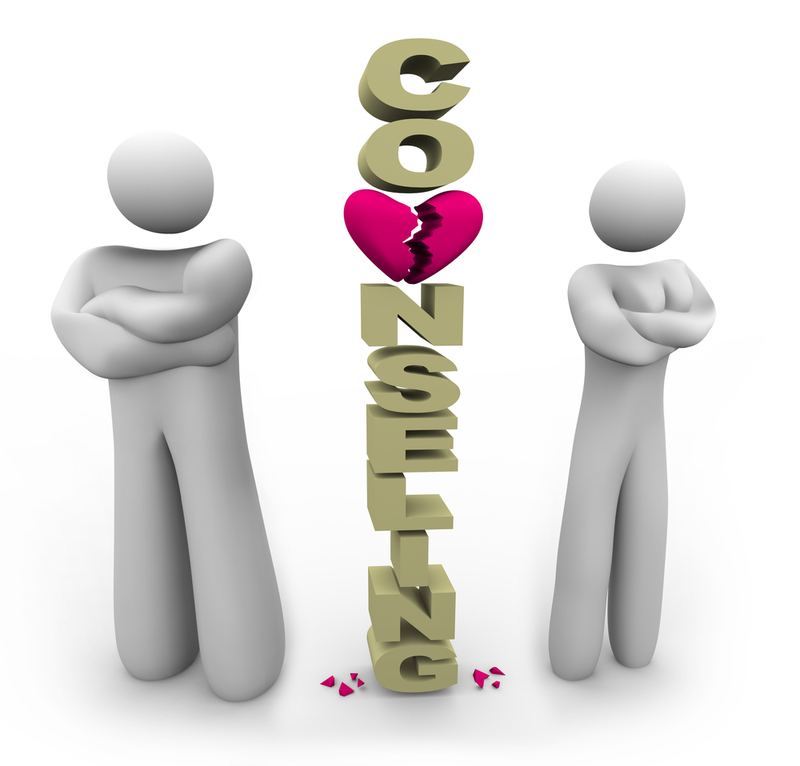 I note that nearly 100% of couples I see for couples counseling focus on 1 and 4 at the start but lead with 2 and 3 when we are nearing termination. Consider giving this a try and see what kind of results you get. You might even print out this blog post and suggest that you both try this method the next time there is tension between you. If this doesn’t work, or the problem is more serious (e.g., there is domestic violence, you’re discussing divorce), do yourselves a favor by seeking out the services of a qualified couples counselor. For a referral click here. ‹ Older Post What Can Be Done About Bullying?